Amid all of the nonsensical Super Bowl hype and the mainspread sports media’s endless fawning over LeBron James there have been some remarkable stories that have gone completely unnoticed. 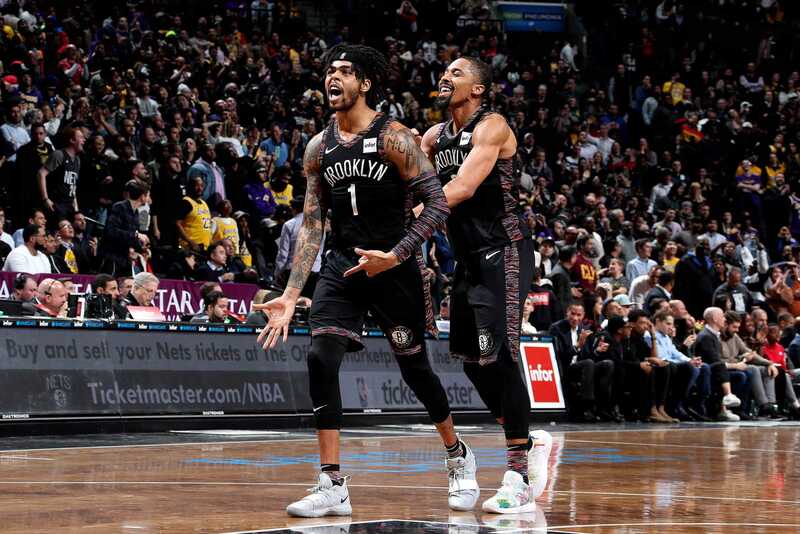 In the NBA, one of the most compelling has been the unexpected revival of the moribund and long suffering Brooklyn Nets. After some semi-promising performances in the former New Jersey Nets’ first two seasons in Brooklyn they’ve gone completely in the toilet. They managed to make the playoffs in 2014-2015 despite a 38-44 record, which says more about the lack of balance in today’s NBA than anything else. They followed that up with three miserable seasons–14th place in the East in 2015-2016 (21-61), 15th in 2016-2017 (20-62) and 12th last year (28-54). That’s why it’s almost downright inexplicable that the Brooklyn Nets have become one of the hottest teams in the NBA over the past couple of months. Even with a recent 3 losses in 4 games swoon they’ve won 20 of their last 29 games SU going 21-8 ATS during that stretch. After starting the NBA season 7-18 SU they’re now 1 game over .500 (28-27) and in 6th place in the Eastern Conference. True, there’s a bit of a gap between the Nets and the East elite–they trail 5th place Philadelphia by 6.5 games–but even so their transformation has been remarkable. Credit should go to head coach Kenny Atkinson who has a roster that has finally been jettisoned of all of the high priced malconentents. It’s an extremely young team–only two roster players (DeMarre Carroll and Jared Dudley) are over the age of 30 and the key players are all over young. They are suffering through some injuries at the moment, most notably a finger injury to key reserve Spencer Dinwiddie that has him out ‘indefinitely’ but that’s less of an issue on a ridiculously balanced team where 7 players average double figures and 10 average 9+ PPG. The catalyst has been pointguard D’Angelo Russell and a talented group of shooting guards to pair with him. Ed Davis might not be the second coming of Dennis Rodman, but he’s done nice work in the paint averaging 8.8 rebounds per game. They’re not a team that dominates in any one phase of the game but they’re a team with a deep roster of very capable all around players. This looks like a spot where they could turn around their recent bad fortunes. Brooklyn is coming off of a home loss to Milwaukee where they shot just 32.4% from the field and went 5-42 from 3 point range for a pitiful 11.9%. There’s also the fact that Milwaukee has the best record in the NBA at 39-13. They’re facing a very good Denver team that has won 8 of 10 and stand just 1/2 game behind West leading Golden State. Now the bad news–the Nuggets have done most of their damage at home where they’re 23-4 SU. On the road, they’re a ho-hum 14-12 SU and 10-16 ATS. Brooklyn has been solid against winning teams this year (14-10 ATS) and catch the Nuggets in a potential lookahead spot. Denver concludes their East Coast swing on Friday against the Sixers in Philadelphia making it easy for them to look past Brooklyn here. No line on the game yet due to injuries but when it goes up the home team is the play.